SandblastingMachines.com is a division of the nationally recognized PSC Online Stores. Together, we are leading the nation with our innovative approach to e-commerce distribution of abrasive blasting equipment and OEM replacement parts. SandblastingMachines.com distributes brand name, high quality abrasive blasting equipment. Because of our commitment to creating a fast, easy, and convenient online shopping experience, our customers can order a number of sandblasting products and replacement parts immediately through our online store. This is only a short list of what is available through our online store. All PSC Online Stores provide the highest quality products and services to customers through supply chain innovation, product integrity, and sound supplier relationships. 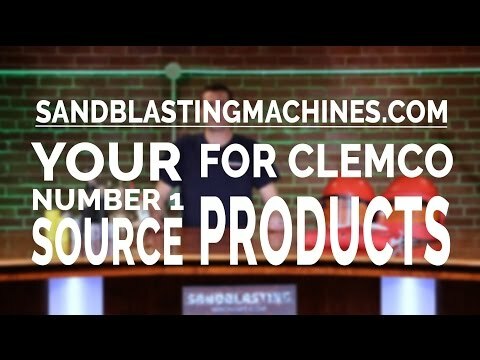 At SandblastingMachines.com, we are proud to offer a robust line of abrasive blasting equipment with the benefit of competitive pricing and advantageous shipping. If you can't find the product you are looking for here or if you have any technical questions, please feel free to contact us by using our toll-free number: 1-855-358-2850.